Next to a home, a vehicle is one of the most valuable assets you can own. In order to lengthen the life of your vehicle, it's crucial that you properly care for it. While you may be eager to upgrade your car and give it a personal touch, making changes isn't always so easy. New rims can instantly change the look and feel of your car; however, since they have a big impact on how your vehicle performs, there are a few things you should know before you purchase new rims for your car. Rims are often confused with the term "wheel." A rim is the outer edge of the wheel that holds the tire firmly in place. Because they are the visible part of a car wheel, they are used as a custom accessory to improve a vehicle's look, traction, and steering. Most rims are fitted by the year, make, and model of the car that they are going on. It's important to always find a rim size that is compatible with your current one and has the same diameter. Also, take note of the width of the rims, as they need to fit your tires. Lastly, make sure that the rims have the same bolt patterns in order to ensure compatibility. If you choose a rim that is bigger or wider, you may have to test it first to verify that it fits your vehicle. 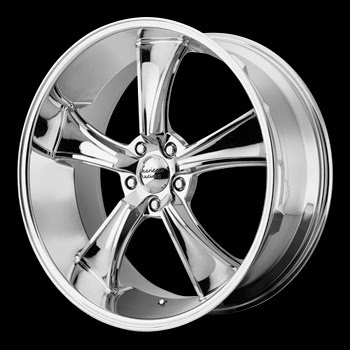 While there are other types of rims, aluminum and steel are the two most common on vehicles. Your personal preferences will heavily impact the style you should go with. Aluminum is popular for its glossy shine, but you might want to keep the car stored indoors, to avoid the rims getting dirty, dented or scratched. Also, because these rims have several holes and crevices, they can be time-consuming to clean. On the other hand, if you are a car enthusiast and want a shiny set of wheels, aluminum is the way to go! For the classiest, most elegant appearance, opt for chrome plated aluminum. Steel rims are heavier, stronger and very durable, and there is less need to keep them clean. However, they lack the shine that aluminum rims have and are often covered with hubcaps to brighten their dull appearance. Many people use rims as a custom accessory to improve the look of their vehicle. Do you want your car to look sportier or more subtle? How about sleek and stylish? Whatever your preference, we have the rims to suit your style, including the popular American Racing rims. Check out our selection online today! Really a great info!! Before going to buy a rim for first time, number of confusions hit the buyers mind. This article is the optimum solution for all those confusions, therefore every car owner should follow it. Although there are numerous reliable wheel dealers, but it's hard to determine their worthiness on first sight. Your awareness is the best weapon that can protect you from being conned.